Single-line guest room telephone with five (5) programmable guest service keys, along with Flash and Redial. The single-line Opal 1005 provides five guest service buttons for easy access to commonly-used hotel services. 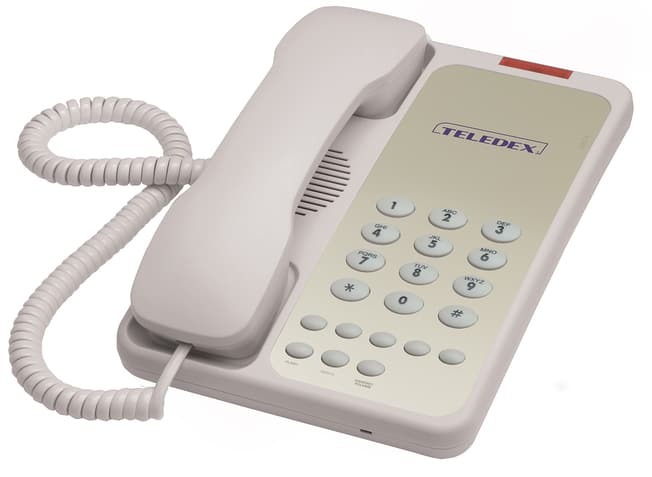 A built-in bright message-waiting indicator helps keep your guests in touch, and the exclusive Teledex Limited Lifetime Warranty protects you for as long as you own your Teledex telephones.